We care a lot about our customers here at Holmes Honda, and we want to make sure you are safe on the road in all weather conditions. Your tires are the only element of your vehicle that actually touch the ground. Having worn tires is the leading cause of decreased fuel economy, and is also the leading cause of accidents in inclement weather. We encourage you to bring your vehicle to our service center in Shreveport, Louisiana to have our certified technicians check the tread and wear on your vehicle’s tires. 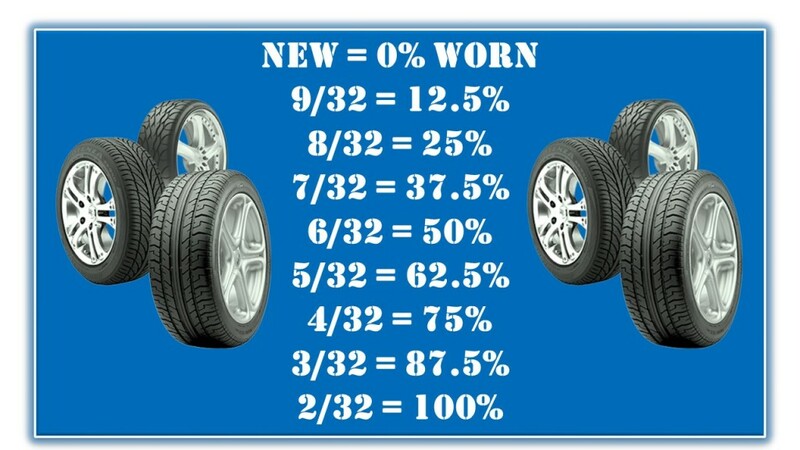 We have created the chart below to better help you understand just how worn your tires are. If you do need new tires, Holmes Honda has an impressive selection for the lowest prices in the state! Check out our parts and service specials, and give us a call at 318-212-1200 to schedule your service appointment today! You can also schedule online, or come in and see us at 1331 E. Bert Kouns Industrial Loop in Shreveport, Louisiana! We look forward to taking care of you. What are the benefits of Original Equipment Tires?